New analysis for Greener Journeys – the campaign to promote sustainable travel – shows the Bus Service Operators Grant (BSOG) delivers significant benefits to bus passengers, as well as other road users and wider communities, through improvements to economic productivity, social inclusion, sustainability and health. BSOG is currently under review by the Department for Transport (DfT), who are considering a number of options for reform of the scheme. In 2012 funding for BSOG was cut by 20%. A new cost-benefit analysis by KPMG LLP reveals the scheme generates between £2.50 and £3.50 in benefits for each £1 spent, high value for money according to official DfT guidance. A landmark report published in July 2014, Buses and the Economy II (conducted by the University of Leeds for Greener Journeys in partnership with the DfT) which revealed the significant relationship between accessibility by bus and employment and found jobseekers are heavily dependent on buses, with 77% having no access to a car, van or motorbike. 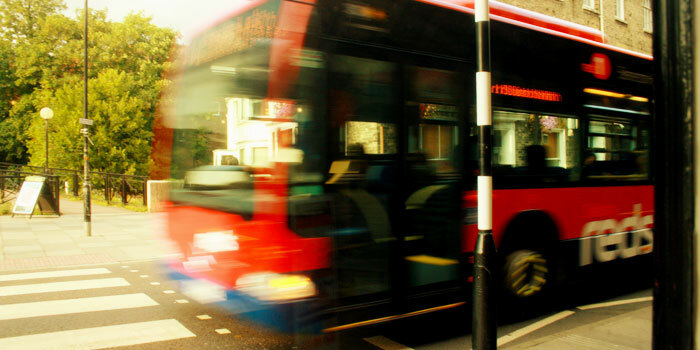 Greener Journeys research published in June 2014 which showed investment in bus related infrastructure and priority measures generated £3.32 of social, economic and environmental benefits for each £1 spent. Reduced fares and improved bus services – bus users are significantly better off due to fare reductions and service improvements enabled by BSOG. Given the demographic profile of bus users, this has considerably larger impact on those on low or moderate incomes. Better community linkage and lower congestion – more communities are able to support a viable bus service, and with more people taking buses traffic congestion is reduced. BSOG also contributes to improved air quality and a reduced risk of traffic related accidents. Improved connectivity – BSOG makes it easier for people to access jobs and for those eligible for concessionary travel to volunteer in their communities. Positive impact on health and wellbeing – the increased use of public transport driven by BSOG means more people lead more active lifestyles with benefits for their health. The analysis found lower fares and higher service levels for bus passengers made up 70% of BSOG’s overall benefits, with 24% representing wider positive economic, social and health impacts and 6% improvements to the wider transport network. “These findings clearly show Government funding for buses has a hugely positive overall impact on Britain. Any attempts to reform the Bus Service Operators Grant must not risk or reduce the £3.50 of benefits the scheme generates for every £1 spent. “Over recent years our research has time and again shown just how crucial buses are to helping people into work, driving economic growth in Britain’s towns and cities and to building cohesive and prosperous communities.